Some days it's easier to be appreciative than others, but if you really look, you can find something EVERY day to be grateful for. 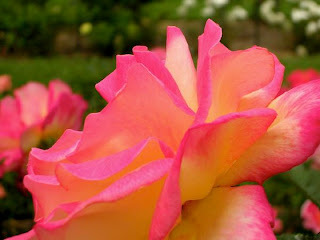 By acknowledging those blessings (even the smallest ones), you invite more abundance into your life. I've tried to do it daily...writing down five things in my journal EVERY day that I'm grateful for. I must admit I'm not always consistent about it, and some days it's the most basic things - like that morning cup of coffee, or the fact that my car gets me to work in the morning. Then at the end of the year, I try to make a list of 100 (yep, that's 100!) things I am grateful for in that year. Grab your journal, open a fresh Word document, or type it into your Blackberry, whatever works for you.....but begin your GRATITUDE 100 list TODAY. I will work on mine during my upcoming vacation (hey, there's one already - vacation.....99 to go), and will post it when I return. If you'd like to share, send yours along! AND.......if you are a Jazzercise customer participating in our Holiday Promotion, you can earn ONE EXTRA BONUS point for your team when you bring your completed list to class by Thanksgiving. We'll add it to our Gratitude Wall (names optional). Enjoy your attitude of gratitude! 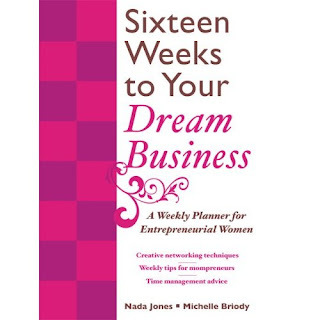 I recently had the honor of being featured in the book Sixteen Weeks to Your Dream Business: A Weekly Planner for Entrepreneurial Women By Nada Jones & Michelle Briody published this fall by Mcgraw-Hill. Whether it's selling products you love, or creating a service you know people need, business start-up experts Nada Jones and Michelle Briody will take you step-by-step through the process of making your business aspirations a reality. From carefully planning out a bullet-proof business model, to marketing your business and finding a customer base, this planner helps you track your progress and nail down all the details that will make your business thrive. 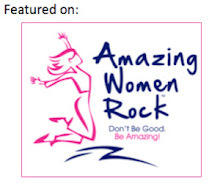 Each chapter features a success from women business owners throughout the country. Yep, that's me on page 178. I guess you'll have to buy the book to see what it says! Check it out on Amazon or go to my web portal to order through Barnes & Noble or Border's AND be rewarded for your purchase.